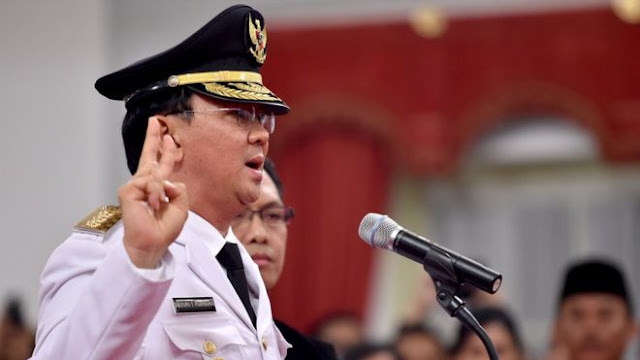 Home / .#Politics / #HumanRights / Indonesia / Religion / #HumanRights: Jakarta court found guilty of blasphemy the Christian governor of city and sent him in jail for two years. 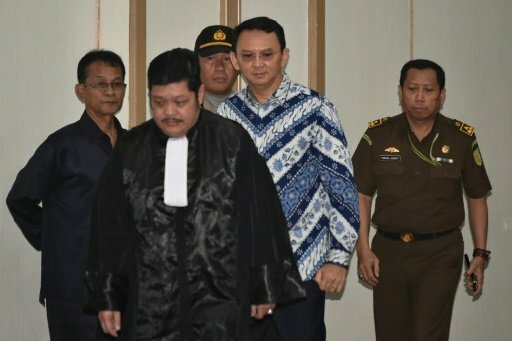 #HumanRights: Jakarta court found guilty of blasphemy the Christian governor of city and sent him in jail for two years. Jakarta's Christian governor was jailed for two years Tuesday after being found guilty of committing blasphemy, capping a saga seen as a test of religious tolerance in the world's most populous Muslim-majority nation. Islamic hardliners outside the Jakarta court cheered and shouted "God is greatest!" as news came through that Basuki Tjahaja Purnama was to be sent to prison, a shock decision after prosecutors recommended only two years probation. Purnama was hauled into court last year to face trial for allegedly insulting Islam while campaigning for re-election, in a case critics said was politically motivated. The trial came after a series of major protests against the leader, known by his nickname Ahok, in the capital that drew hundreds of thousands onto the streets. His once unassailable opinion poll lead shrank amid the controversy and he lost the race to lead Jakarta last month to a Muslim challenger, a result that fuelled fears of Indonesia's moderate brand of Islam coming under threat from increasingly influential radicals. The five-judge panel at the Jakarta court found Purnama guilty of blasphemy and jailed him for two years. Announcing the verdict, presiding judge Dwiarso Budi Santiarto said Purnama was "convincingly guilty of committing blasphemy and is sentenced to two years in prison" and ordered him to be detained. Another judge, Abdul Rosyad, said reasons for the stiff sentence included that "the defendant didn't feel guilt, the defendant's act has caused anxiety and hurt Muslims". Purnama said he would appeal. Blasphemy carries a maximum jail term of five years in Indonesia. The controversy began in September when Purnama, known for his outspoken style, offended Muslims after he quoted a passage from the Koran during his re-election campaign. He insinuated that his opponents had used a Koranic verse to trick people into voting against him. An edited version of his speech went viral online, sparking outrage. The trial started in December and dragged on for months, with both the prosecution and defence calling more than 40 witnesses. Purnama's team have accused the prosecution of calling biased witnesses, saying that many were not even present when the alleged blasphemy took place. Critics want the country?s blasphemy laws overhauled. The legislation was rarely used during the 32-year rule of strongman Suharto, but in recent years it has been exploited to persecute minorities, rights groups say.